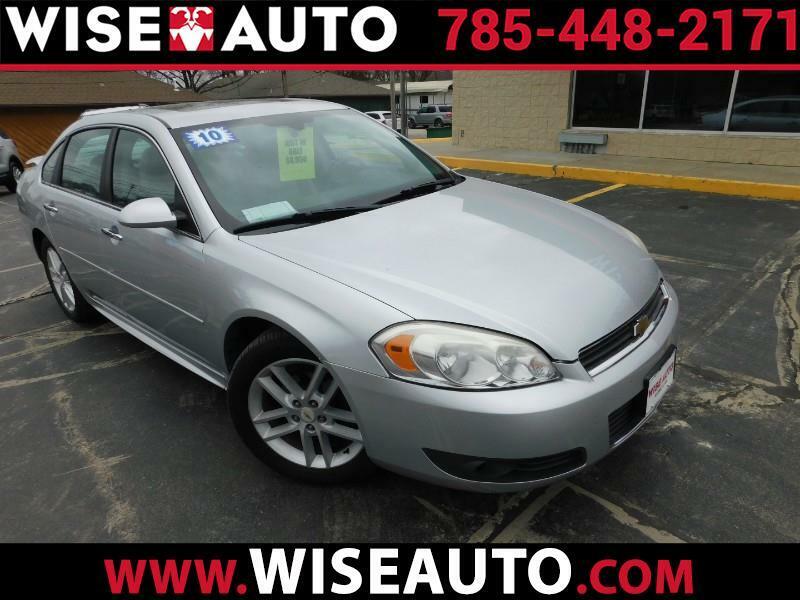 2010 Chevy Impala LTZ: This 4-door sedan is loaded with equipment including heated leather seats, a power sunroof and priced under $10,000 !! Call today at 785-448-2171 or visit us online at wiseautoks.com. Visit Wise Auto online at www.buywiseautos.com to see more pictures of this vehicle or call us at 785-448-2171 today to schedule your test drive.